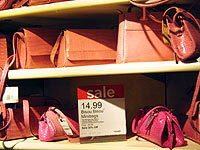 One of the most satisfying and rewarding things to do in Florida is shopping, so, for the shopaholics looking for brand name products at amazing prices, Orlando has everything. 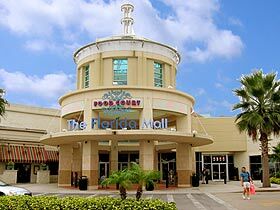 Florida Mall is the area's main shopping mall, with an awesome array of shops such as J C Penny, Sears, Foot Locker, Abercrombie & Fitch, Nordstrom and many more. Why not refuel the family at the numerous cafes and restaurants found there? 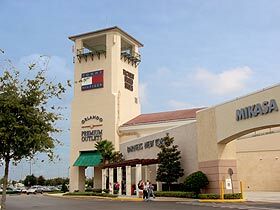 For the value minded shopper, the Orlando Premium Outlets are where you can make big savings at more than 110 shops selling up market brands, including Banana Republic, DKNY, Giorgio Armani, Tommy Hilfiger, Versace and lots more, plus a range of sportswear manufacturers. Your vacation wouldn't be complete without a trip to Prime Outlets - International Drive This is the largest factory outlet in Orlando. 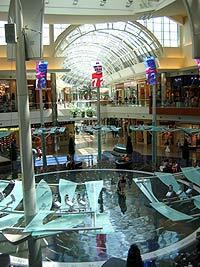 The original outlet features 160 speciality shops, including Nike, Reebok, Adidas, Puma, Van Heusen and many, many more. Right next door is the new Festival Bay with even more stores. Currently home to Outdoor World, Bass Pro Shop, Hilo Hatti, Vans, Arcade Games Room and a Cinemark movie theatre complex. These are just a few of the large array of places to shop, why not try closer to your home on the US 192, with several Factory Outlets and one of the largest Flea Markets in the Area.